Brain abnormalities of schizophrenia probably consist of deviation related to the vulnerability and pathological changes in association with overt psychosis. 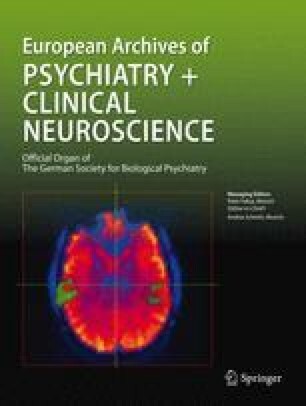 We conducted a cross–sectional comparison in brain morphology between patients with overt schizophrenia and schizotypal disorder, a schizophrenia–spectrum disorder without florid psychotic episode. Voxelbased morphometry was applied to assess gray matter volume in 25 patients with schizophrenia, 25 patients with schizotypal disorder, and 50 healthy control subjects. In comparison with controls, schizophrenia patients showed gray matter reductions in the bilateral medial frontal, inferior frontal, medial temporal, and septal regions, and the left middle frontal, orbitofrontal, insula, and superior temporal regions, and an increased gray matter in the left basal ganglia. Schizotypal disorder patients showed reductions in the left inferior frontal, insula, superior temporal, and medial temporal regions. There was a significant reduction in the left orbitofrontal region of schizophrenia compared with schizotypal disorder. Gray matter reductions that are common to both patient groups such as those in the left medial temporal and inferior frontal regions may represent vulnerability to schizophrenia, and additional involvement of several frontal regions may be crucial to florid psychosis.